The Jamaica Labour Party, founded in 1943 by Alexander Bustamante, as the political wing of the Bustamante Industrial Trade Union, won the first elections held in Jamaica under universal suffrage in 1944. 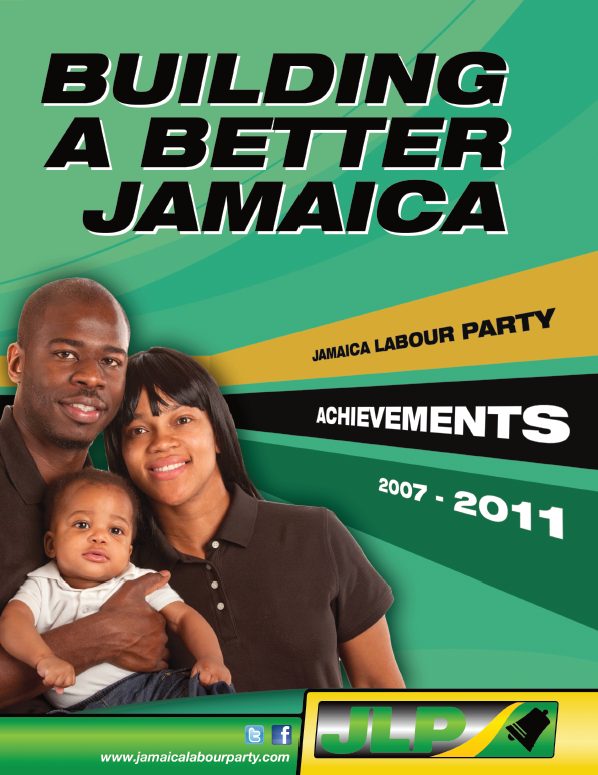 Although born, like the PNP, out of the trades union movement, with an emphasis on improving relations between workers and employers and pursuing greater racial and social equality, the JLP gradually came to occupy a liberal capitalist position further to the political right than the PNP, stressing the importance of attracting inward investment and economic growth. Ideological difference from the PNP was at its most pronounced in the 1970s and early 1980s, when the JLP objected strongly to the PNP's socialist fiscal and foreign policy. Bustamante led the party from its founding until 1964, when he retired from active participation in politics. 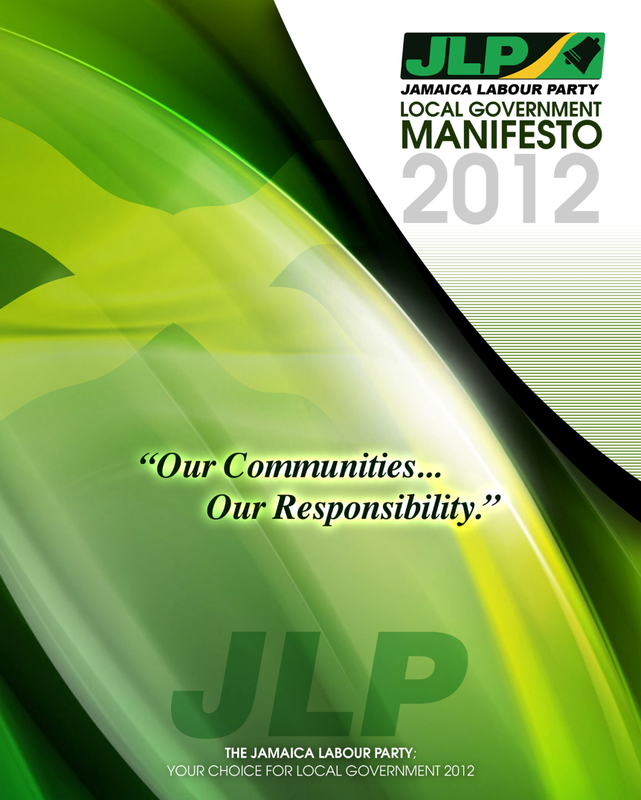 The JLP won the 1944 general elections with 22 of the 32 seats. It went on to win the 1949 elections with a reduced majority, before losing power to the PNP in the 1955 elections. It remained in opposition following the 1959 elections, but was victorious in 1962. In 1964 Bustamante retired from politics, he did not relinquish the title of party leader for several years, until the party gave him the honorific title of "The Chief" following its defeat in the 1972 elections. In the interim, the party was led by Donald Sangster (until 1967) and Hugh Shearer (until 1974), having the title of "First Deputy Leader". In 1974 Edward Seaga became the second leader of the party. The party lost the 1976 elections, but Seaga became Prime Minister after victory in 1980 when the party won 51 of the 60 seats. In an election boycotted by the opposition in 1983 the JLP won all sixty seats. They were defeated in the 1989 elections and went on to lose elections in 1993, 1997 and 2002. In 2005 Bruce Golding succeeded Seaga as head of the party, and led it to victory in the 2007 elections. Golding resigned as head of the party in October 2011, and was succeeded by current leader Andrew Holness. 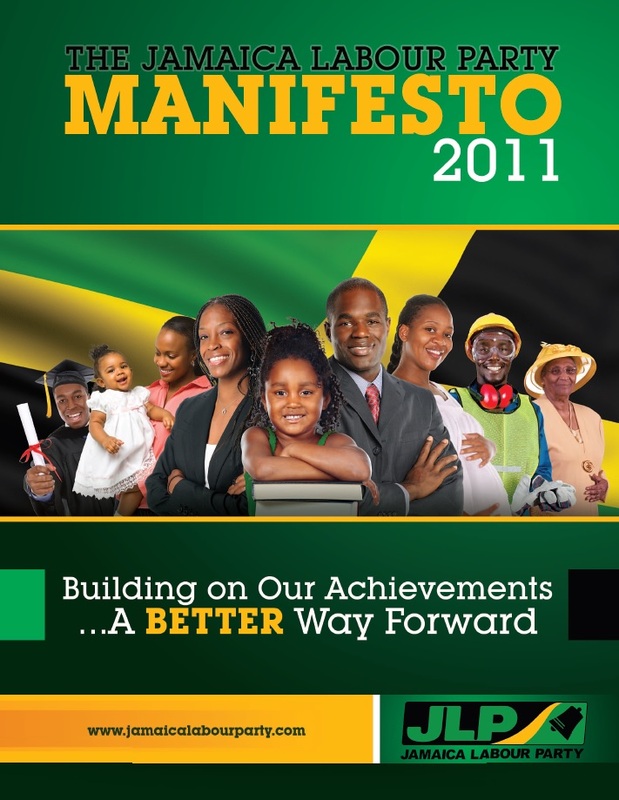 The party slogan "Justice, Liberty & Prosperity", plays on the initials JLP, and emphasizes its message that these three areas suffered under the PNP. 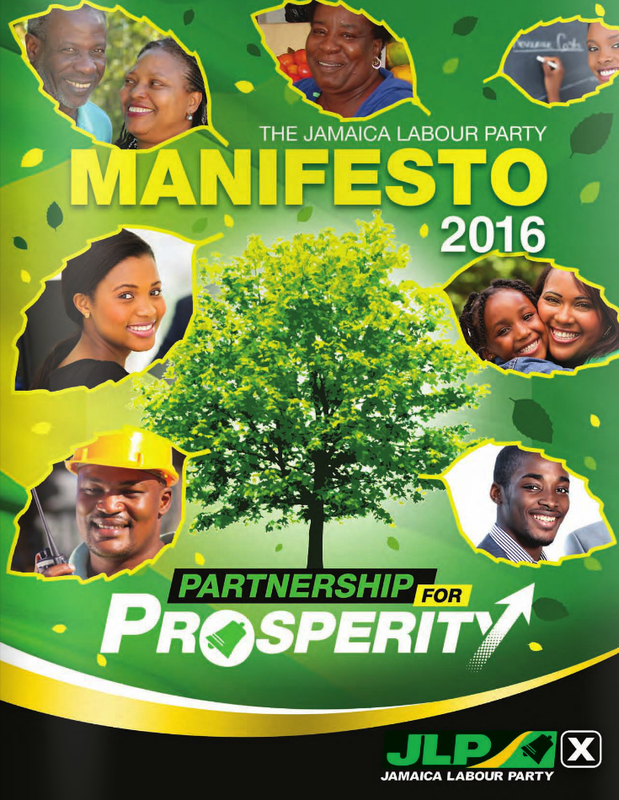 While conspicuously absent from the manifesto, other campaigning material accused the PNP of large-scale corruption.